Beginning on Monday, July 1, 2013, Metro transit will move its testing of new fareboxes to six different routes on the MetroBus system. As part of building a better transit experience for customers, Metro installed new fareboxes on 40 buses and began testing them last October. The farebox testing is moving to the #2 Red, #33 Dorsett-Lackland, #47 North Hanley, #64 Lucas Hunt, #91 Olive and #94 Page. Depending on operational needs, the buses with the new fareboxes may occasionally be used on other routes. 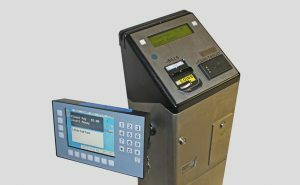 For the past four months, the new fareboxes were tested on Metro’s highest volume routes: #70 Grand, #90 Hampton and #95 Kingshighway, and overall, testing went well. One person will be able to pay for everyone in their group without paying for each person individually. Only one bill or coin can be inserted at a time, so for faster boarding, customers are advised to use newer, dry bills and minimize the use of coins to pay their fare. Passes can be swiped, in either direction, through the slot at the top of the farebox. 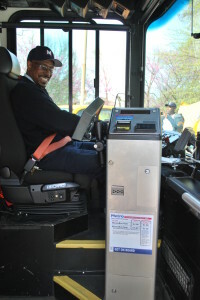 MetroBus customers can email questions or comments about the new fareboxes to buildingbettertransit@metrostlouis.org, or contact Customer Service at (314) 982-1406 between 7:30 a.m. and 4:30 p.m. Monday through Friday.